A few weeks ago, one of my co-workers excitedly told me she had JUST moved to Astoria. When I told her I wrote for WHA, her first question was, “So what’s fun to do here?” I quickly sent her an email, highlighting all of my favorite spots and what they’re perfect for. This simple exercise got me thinking: for someone who is brand new to Astoria, where should they start? What bars/restaurants/activities are classic Astoria, and ideal for newbies? Here’s a quick list of the Astoria essentials. What would YOU add to the list? 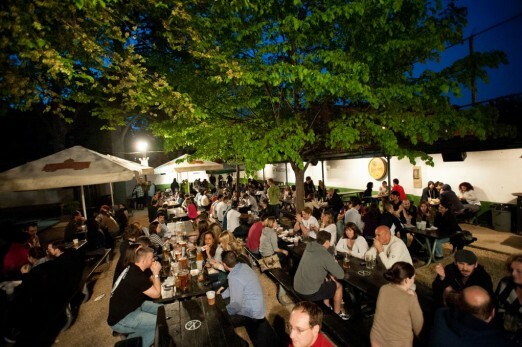 If the weather is nice, a trip to the beer garden should be one of your top priorities. It’s everything that makes Astoria welcoming: it’s casual and comfortable, the food and drinks are great, and the crowd represents the ever-evolving neighborhood. You’ll see young people, families, longtime residents, and recent transplants. This combination of old and new coexisting over pints and pitchers are what make this place home. 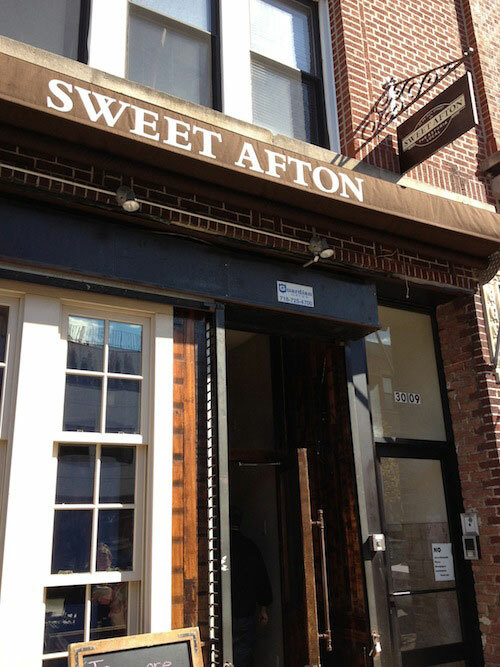 When I moved to Astoria over five years ago, the one bar everyone was buzzing about was Sweet Afton. And for good reason: the cocktails were (and still are!) some of the best in the city, the gastropub menu has something for everyone, and the 30th Ave location is ideal for meeting up with just about anyone. Now, it’s usually the first place I take people when they come to visit or move to the neighborhood. 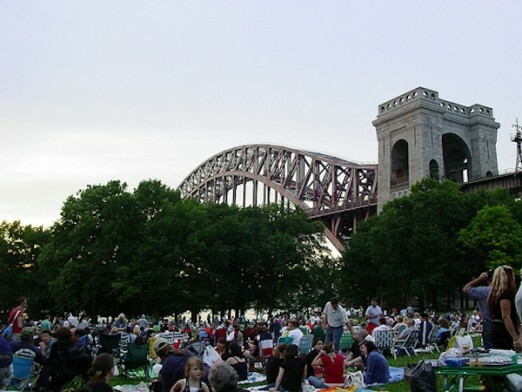 Whether you’re going for a run, catching a movie or concert, or just laying in the sun reading a book, get yourself to Astoria Park. There’s no shortage of stellar pizza in Astoria, but there’s something about Sac’s that makes you feel right at home. (Maybe because they’ve called Astoria home for twenty-seven years!) Whether you’re ordering a slice to go or lingering for dinner with pasta and some excellent wine, their hospitality will always make you feel like family. There’s no other way to put it: the wacky minds behind Queens Comfort are killing it. Their crazy comfort food creations are still generating hour-long waits for brunch, and there’s no sign of slowing down. 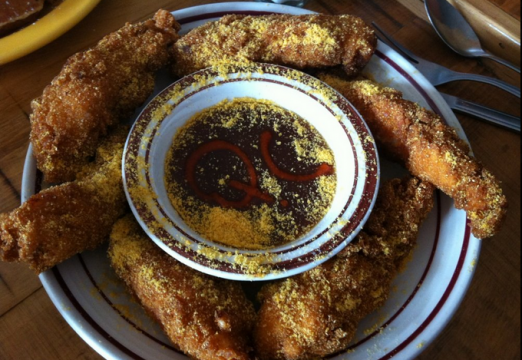 I think the Queens Comfort team paved the way for the “comfort food with a twist” spots like Gossip Coffee, Mom’s, and of course their very own second restaurant, Flattopps. If you’ve never tried their disco tots, mac and cheese, or donuts from the Donut Diva, get yourself to 30th Ave right away. Just be ready to wait in line. 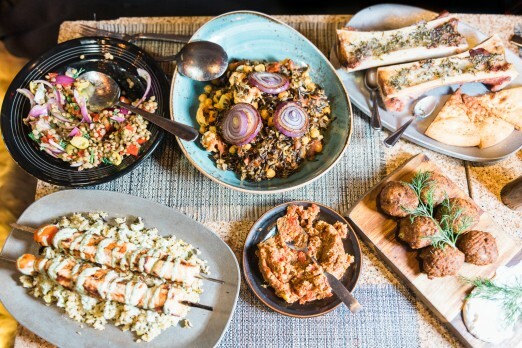 There are too many great Greek spots in Astoria to name, so it’s up to you to find a favorite. 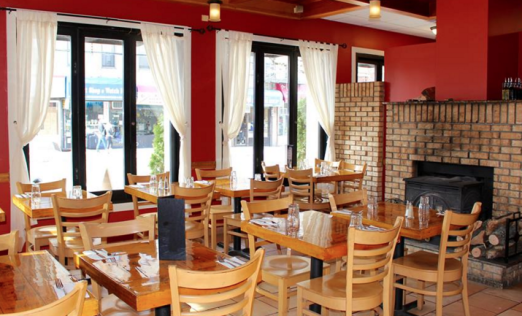 If you live near Broadway, your spot might be Aliada or Bahari Estiatorio. If you’re a 30th Ave person, it could be Ovelia or Avenue Cafe. If Ditmars is your N/Q stop, you could choose Taverna Kyclades, MP Taverna, or Gregory’s 26 Corner Taverna. Or, you could roam around the neighborhood, searching for the eatery that fits you best. No matter what spot you choose, you’re in good hands! Now tell us, what would you recommend to someone new in the neighborhood? Tell us on Facebook in the comments!